Six-story industrial building in Prigorodki with three metal tanks at the back. There's a ladder leading from the roof to the top of the metal tanks. 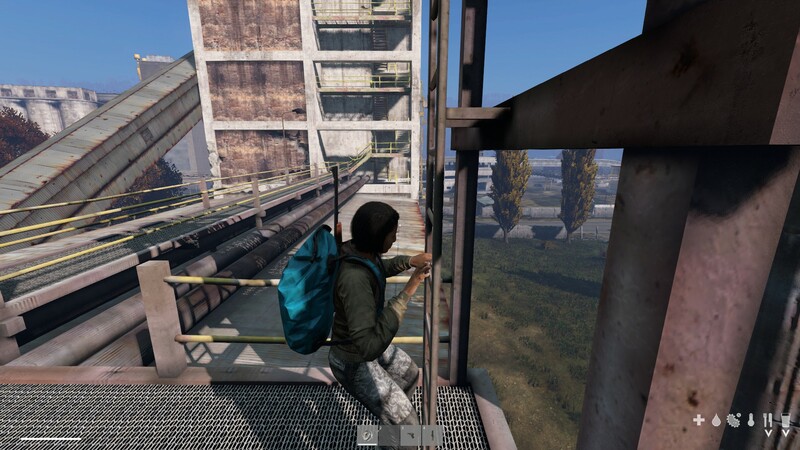 You can enter the ladder from the top and the bottom, but it's impossible to exit at the bottom. The player character just keeps playing the climbing animation. The ladder can be exited at the top. Climb or slide down to exit at the bottom.